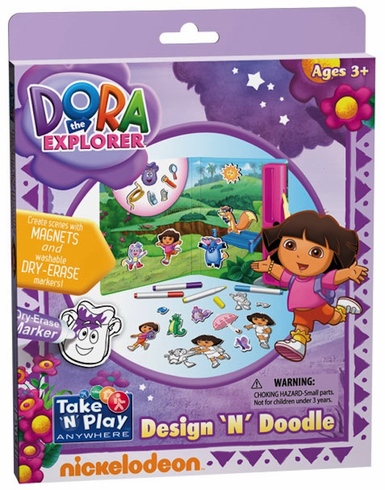 Design N' Doodle combines two activities in one - imaginative magnetic play and expressive drawing with dry-erase! Each set includes a colorful 2-sided 14" x 9" play surface that folds up and has a handle for travel. It can also be set up as an easel! Kids can use the dry-erase markers to draw on the scenes, or to color the magnets. ItÕs a fun, creative activity for kids to play with again and again!